Ramparts article, “The University on the Make,” Courtesy of University Archives and Special Collections at MSU. 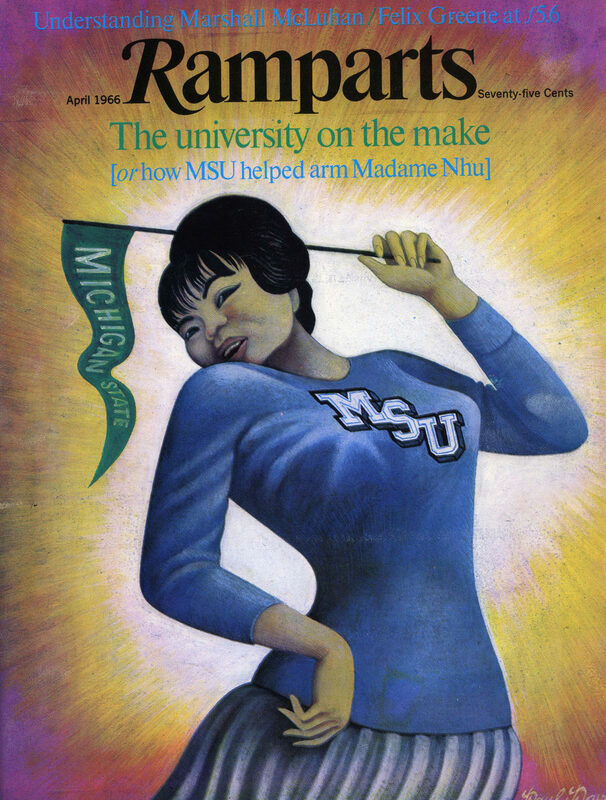 The MSU Vietnam Group Archive- a joint collaboration between MATRIX, Michigan State University (MSU), MSU Department of History, and MSU University Archives & Historical Collections- has received $264,998 in funding from the National Endowment for the Humanities (NEH). MSU Vietnam Group Archive is committed to the task of digitizing and archiving documents from 1955-1962, when MSU worked with the American government in South Vietnam with the goal of producing a stable, non-Communist country in the Cold War era. Although their efforts eventually failed, the Vietnam Project Archive contains rare and valuable data about life in South Vietnam immediately prior to the Vietnam War. Materials in this archive allow students and scholars to get an insider's view of America's university-assisted nation-building practices. Included in this collection are contracts between MSU and the U.S. Foreign Operations Administration, reports on the rural economy and society in South Vietnam, personal communications between MSU staff and the president of South Vietnam, and audio recordings and films, which include images of MSU staff assisting in police training, ceremonies, and inspection tours. These documents are rare and available only in this archive, making its preservation and dissemination an important and necessary project. Project partners hope that the digitizing of the MSU Vietnam Group Archive will allow new scholarship and understanding to develop about a country's transition from a colonial to post-colonial society, nation-building strategies, and the history of South Vietnam.